The time at which someone enters school can affect their intelligence. Holding someone back from school can have a negative impact on their intelligence, making it harder for them to form connections in their brain that strengthen their speech and processing abilities. The amount of time a child spends in school, interacting with peers and displaying verbal and non-verbal forms of communication, can be of tremendous benefit to that child for the rest of their life, and teach them skills that will be the foundation for further IQ development. Summer vacation has an impact on IQ. Anyone who has gone a few months without stepping into the academic arena can certainly recall the moment they felt as if their abilities to process information and form concise conclusiuons began to faulter, leaving them wondering if their abilities were just rusty, or had actually partially gone away. Studies show that the longer someone is away from the classroom, that is, the longer someone is away from any sort of learning environment, the more their intelligence will suffer. This is also very important for adults to be aware of, since doing the same repetitive tasks each day for work can quickly diminish the mind's ability to navigate environments beyond that which they are most comfortable in. There are more forms of intelligence than just the one; most people tend to have high scores in a couple different IQ categories, such as emotional intelligence, and visuospacial intelligence, as opposed to being well rounded in all forms of intelligence. It is the assessment of all of these modes of intelligence that offers us our final IQ, and assessing those individual IQ markers can offer insight as to where improvement is needed. IQ scores can be indicative of outcomes in the real world, and can be used as a solid predictor or future successes. Scoring highly on IQ tests, and having a good spread of abilities across the spectrum of available intelligences can predict someone's ability to move up in the world and navigate various life scenarios. 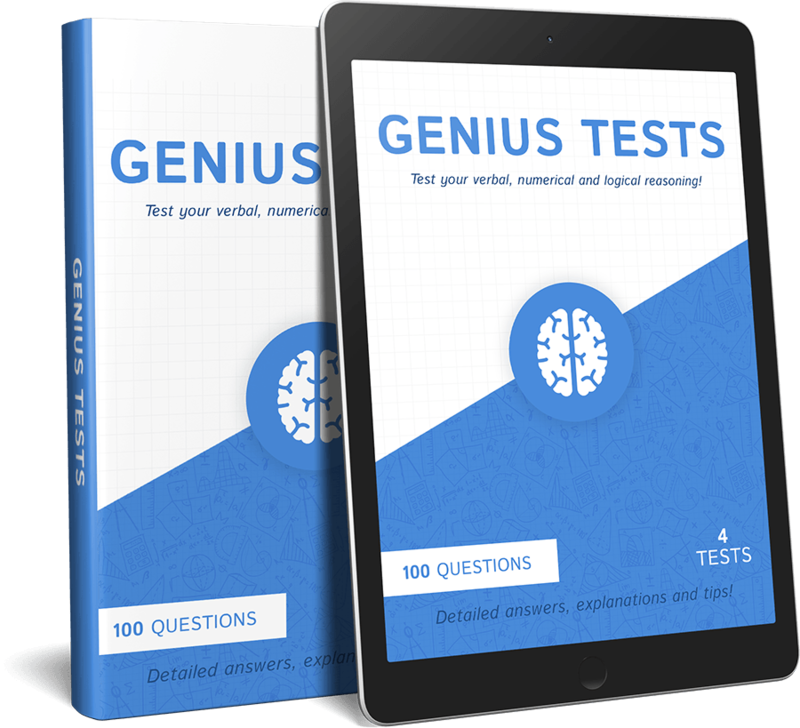 That said, it might not necessarily be just the IQ score; it is also assumed that the rigorous training and practices employed by those who score highly on IQ tests is what contributes to their overall success in life. What you eat can have an impact on your intelligence, as well as your ability to learn new things and absorb vital information. Eating a diet that is high in fats and sugars will make you feel lethargic and drained of energy and attention, making it harder to focus and solve the puzzles that come along throughout the course of the day. Also, the lack of energy can drag on into the following day and make it hard for someone to find the motivation necessary to continue onward in their project or job. Your score reflects your average ability to navigate new and unfamiliar environments. That said, the average IQ score is comprised of scores from many avenues of assessment. Such avenues include emotional intelligence, visuospacial abilities, verbal and cognitive reasoning, and mathematical understanding, to name a few. What's more, scoring lower than you had expected on an intelligence test might be an indicator that a certain aspect of your cognitive instrument might need tuning. For instance, if your have great verbal and mathematical abilities, but score lower than expected, you might want to look into honing your spacial abilities before attempting the test again. There are more than a few famous members of high IQ societies; from the creator of SKYY Vodka, to the cartoonist behind “Dilbert”, there are many people out there who use their intelligence in profoundly different ways. Isaac Asimov, the world famous sci-fi writer, was even the vice president of a high IQ society for a while. There are a handful of actors too, like Steve Martin and Kara Howard, the adolescent co-star of the film “Moonrise Kingdom.” There’s also Nolan Gould, the actor plays a young fool on the television show “Modern Family.” Gould graduated high school when he was only thirteen. The youngest person to gain entry to a high IQ society was Alexis Martin, accepted at only three years old. Her parents noticed that she was different than most children when she was able to recite her bedtime stories verbatim at one year old. Her IQ is 160.